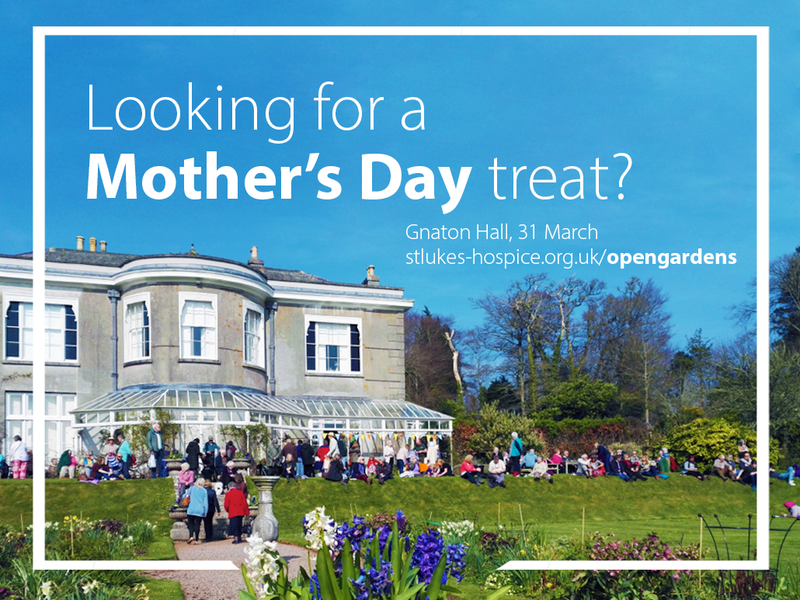 If you want to make Mother’s Day extra special this year, don’t miss the launch of our annual Open Gardens scheme on 31 March, when beautiful Gnaton Hall in Yealmpton will throw open its gates in aid of St Luke’s so you can enjoy its delightful gardens. There’s so much to see and explore, including the stunning display of daffodils and peaceful woodland walks. You can enjoy delicious cakes, too. All this, plus the chance to win the framed original of artist Brian Pollard’s enchanting Open Gardens tenth-anniversary brochure cover in our raffle. View our Open Gardens brochure online!